Last one! Some more long-term planning. Abbie will run into these guys down the road. 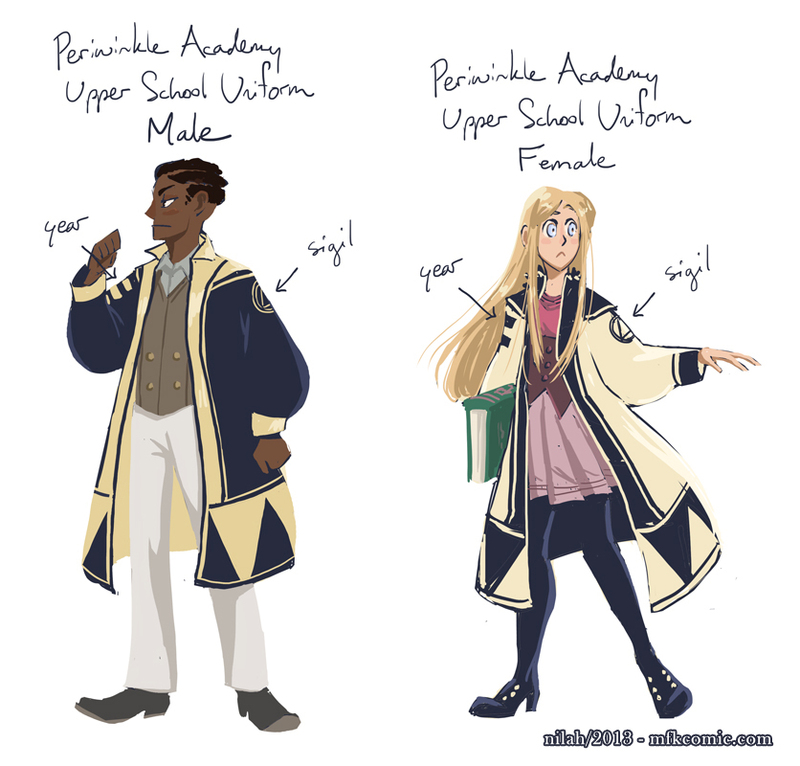 Hah, there are quite a few uniforms in this world, and I’m not the greatest at designing them. But I enjoy playing around with them all the same. Well, that was fun! January was super intense and I’m really glad it’s over. Next week we’ll get this show back on the road. Thanks for hanging in there, everyone!